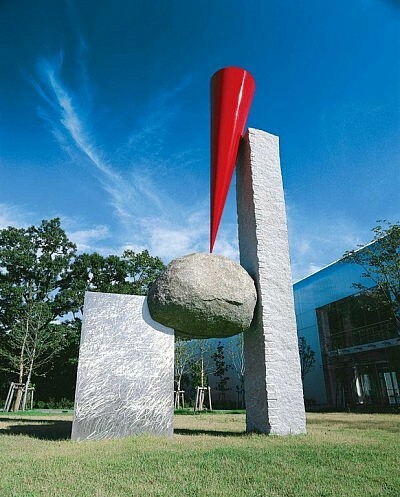 The point where the cone briefly touches the stone symbolizes a source of new energy.Combining two components of a different nature represents the interrelation between humans and the natural environment. Balance is beautifully maintained from whichever direction this work is viewed. The components almost seem airborne. What can be the technique that put these two elements together?